Charleston June Events: Things To Do In Charleston June! Submit Events for June here. 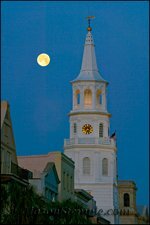 It's getting HOT, school’s out and Charleston, SC is sizzling with things to do! There are an abundance of great events and activities to keep you on the move. The ever famous International Spoleto Festival USA is in full swing with the grand finale happens on the 12th. Be sure to stay updated so you're not left behind! This amazing festival is scheduled for the last week in May through the first 2 weeks in June. For specific event listings and additional details, you can visit their website at Spoleto Festival USA. At cheaper prices, you can also view local artist demonstrations through Piccolo Spoleto. This is not the first place I've said this, but the Spoleto Finale is one of my favorite things to do! For a price that is not much more than normal Middleton Garden's admission, you can bring a picnic lunch, walk throughout the plantation and then sit to enjoy the Spoleto Orchestra and fireworks that follow. It's a great way to end the festival. The other great festival that is held annually in June is the Sweetgrass Festival. This is where you will find the largest display of these gorgeous handcrafted baskets in the Lowcountry. It doesn't end there! Plan to attend this cultured event and witness and learn about the Gullah Geechee cultural heritage. 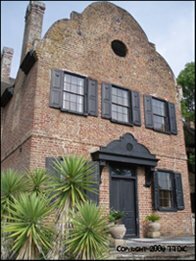 There is truly nothing like it and no trip to Charleston is complete without getting at least a small taste of the Gullah Geechee traditions. 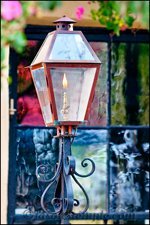 The link above takes you to our Charleston June Events Calendar where you'll find other great things to do in the area. Since it's officially hot, hot, hot in Charleston, my best advise is to be sure you have plenty of water on hand to keep you hydrated... or just find all the air conditioned events! If you would like to have your June event listed on our calendar, please click on the link below. It's quick and easy, best of all it's free! For more events that are going on throughout the year, click on a month below. 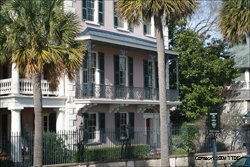 Share YOUR June Charleston Event here! - Title: add the event date after your event name. - Body Text: include the dates again, time of event, address/place of event, pricing/fees and a link to your site for more information (no HTML allowed). - No selling or advertising allowed. This will become a full informational web page of your event that others may share comments on. - We reserve the right to edit submissions or refuse events that do not suit our site visitors. Tip: If your event spans multiple months, be sure to submit for each month separately. TIP: Since most people scan Web pages, include your pertinent information in your first paragraph. Do you have a picture or graphic to add? Great! Click the button to find the it on your computer. Select it and click on the button to choose it. A note about our calendar details: ALL information given to us has been listed for your convenience. Please contact the event directly for any additional information that may not have been provided to us. To assure you make plans appropriately, also please be mindful to check dates, hours of operation and fees for any of the listed Charleston events, as these are subject to change without prior notice.